SHUT UP AVB - YOU FAILED - GET OVER IT! 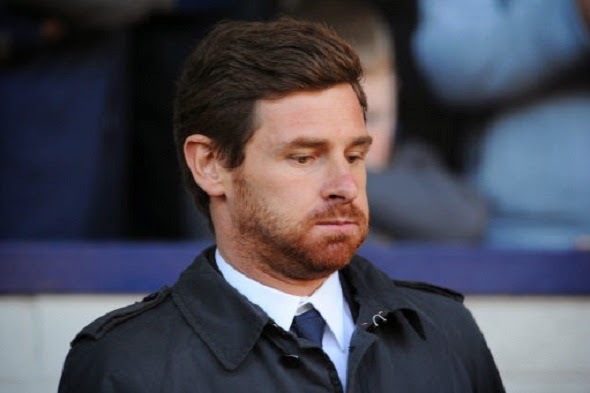 Andre Villas-Boas has taken a chance to speak out against Chelsea and Tottenham; to defend his record as manager and basically to make excuses for the fact he was sacked twice after making a good start to his career at Porto. If you remember, Chelsea paid over £13m to buy out his contract in Portugal and bring him to Stamford Bridge and we all know what happened! "Of course we never know what will happen and what I found at Chelsea was not what I wanted. I arrived at a difficult time in the private life of the chairman, who was rarely present. This clearly had an effect. Then I was surprised and I am still surprised that the chairman's intentions changed. When I went there the idea was to rebuild the team." Why can't he just move on. He took on the massive project at Chelsea and make a right mess of it and as a result was sacked. You only have to look at what Roberto Di Matteo achieved with the same group of players to see what he could have achieved! I have said this time and time again. You HAVE to be as good a man manager of your players as you are tactically aware to succeed and at Chelsea AVB simply was not! Shut up man and move on like we have! !